Possibly the worst-kept secret in MdS-land, but it was officially announced today that Sir Ranulph Fiennes will aim to become the oldest Brit to have completed the MdS at its 30th edition in April: he’ll be 71! In the process he is hoping to build towards or reach his £20 million fund-raising target for Marie Curie Cancer Care. He’s been in very capable hands with Performance Coach Rory Coleman and you can check out these video interviews with Sir Ran at Marie Curie’s website which include Rory promising to look after one of our national institutions . . . and you can sponsor Sir Ran at the same time! This announcement has caused quite a lot of media kerfuffle, as it should considering Sir Ran has previously suffered two heart attacks and a double heart-bypass operation (!) so the heat will be a challenge to one accustomed to breaking world records in the Polar regions . . .
BBC News: Who, What, Why: Is it harder to run in the Sahara Desert or the North Pole? 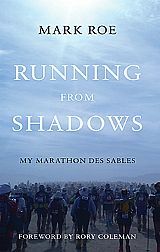 Categories: Marathon des Sables, Rory Coleman, Sir Ranulph Fiennes | Tags: Marathon des Sables, Marie Curie, MdS, Rory Coleman, Sir Ranulph Fiennes | Permalink.